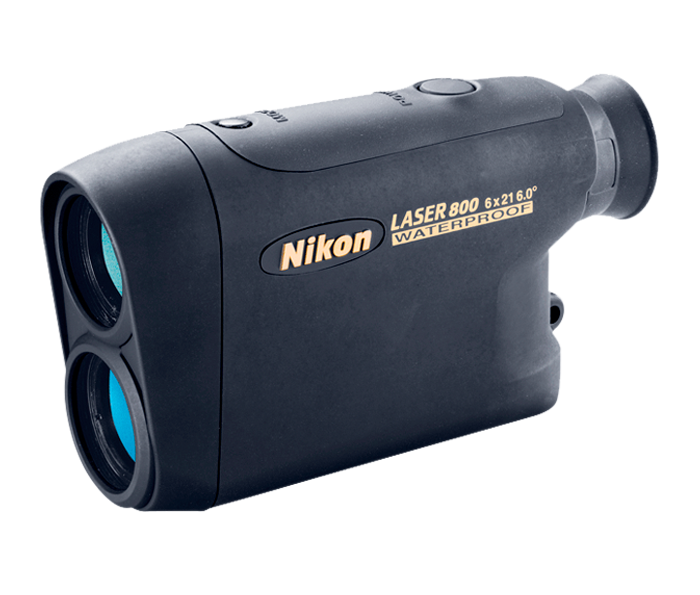 Trademark Nikon accuracy: Advanced laser pulse receivers give you incredibly fast and consistent measurements. Tru-Target™ ranging system: Provides flexible viewing with first target priority mode, distant target priority mode and scanning capability to find trophies in the field. Bright, multicoated optics: Nikon’s legendary optics and proprietary anti-reflective coatings offer high-resolution images. Displays in .5-yard increments: Displays in .5-yard increments out to 800 yards. ltra-compact size: Fits in a pocket or pack, and can be worn on a belt without interfering with your shot. Single button operation: For fast, easy measurements. Continuous ranging feature allows ranging of moving or multiple targets. Automatically powers down after 8 seconds to reduce battery use. Easy-to-view LCD display: For easy ranging, even in bright sunlight.